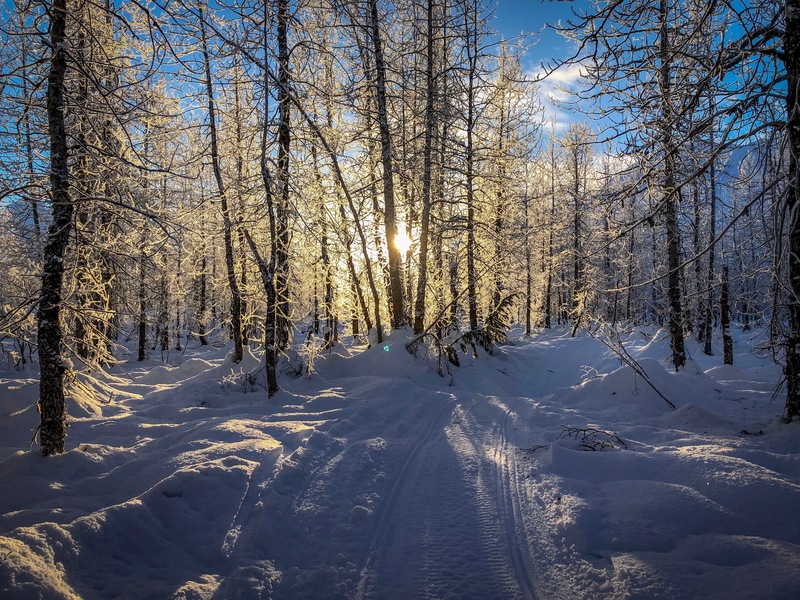 Your guided winter snowmobile tour begins by meeting your guides in Girdwood, the winter paradise of Alyeska Ski Resort, just a short 45 minute drive from Anchorage. 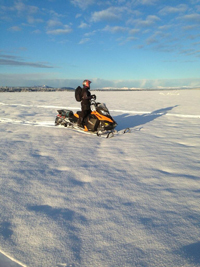 We provide you with all the riding gear head to toe that you’ll need to be warm and safe while riding your top-of-the line snowmobile. 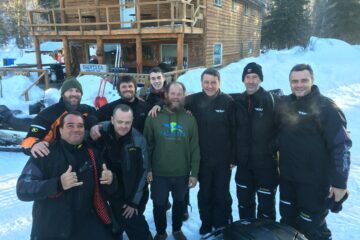 After getting dressed we will transport you 10 miles down the road to the trailhead for orientation and brief riding instruction. 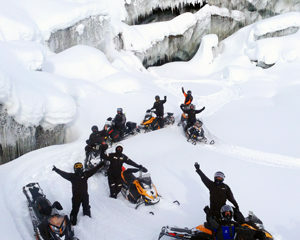 For your riding pleasure, we groom over 14 miles of trail out to Spencer Glacier. 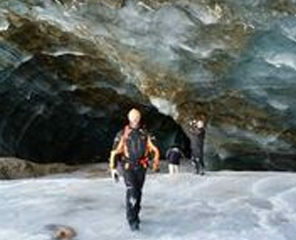 Once at the glacier you’ll have time to explore ice caves and icebergs, eat a homemade lunch, and enjoy a hot beverage. 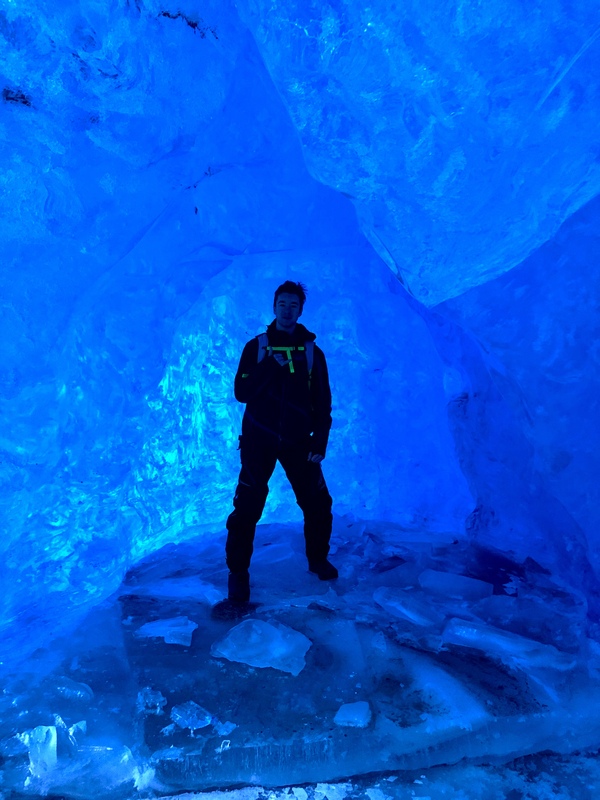 This years ice caves and structures are some of the most exciting we’ve seen in the 19 years we’ve been guiding to them. During your trip you may see glaciers, moose, eagles, porcupines, ptarmigan, lynx, or wolves. Bring your camera as you will want to share your adventure with your friends. 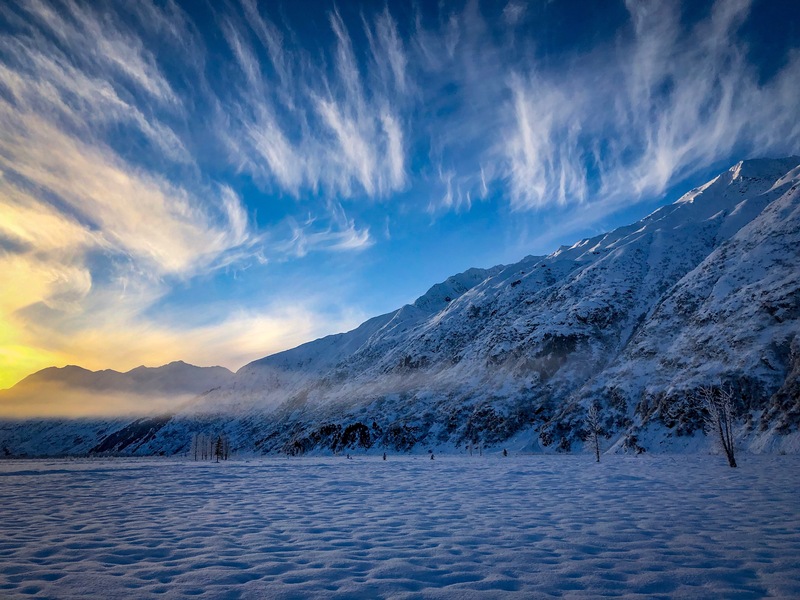 If we are unable to ride to the glacier we will automatically go to the amazing winter wonderland of Turnagain Pass. The towering mountains and winding rivers make for phenomenal picture opportunities. We take the time to lay an engaging trail winding through the lush forest, over rivers and into the natural terrain park for riders to tryout jumps, side hilling and races. This tour will surely amaze! 5 hour tour starting at 9 am or 1 p.m.
*Seeing wildlife is not guaranteed on any tour. 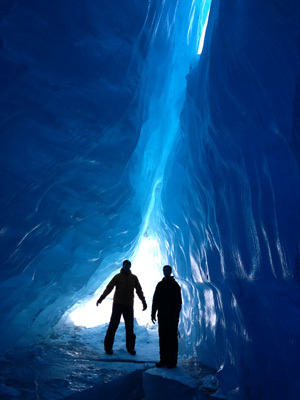 If the glaciers are closed by order of the forest service, we will tour in Turnagain Pass. Call to Customize any tour! 50% refund if cancelled 30 days prior to trip departure. 100% refund if cancelled by tour operator for any reason. 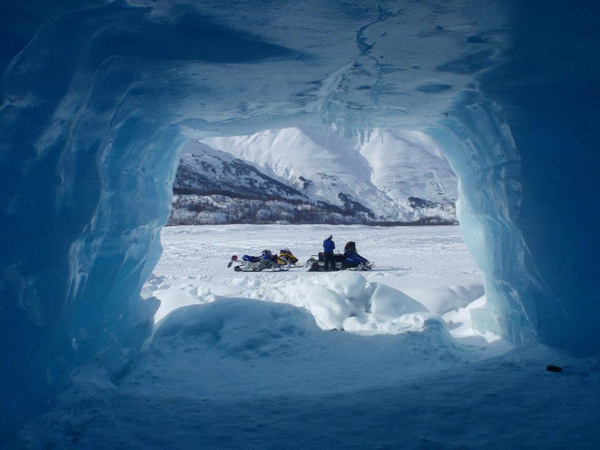 Alaska Wild Guides LLC operates under special use permits with the Chugach National Forest and Glacier Ranger District.